What is the proper relationship between the individual and society? Do societies have shared values? Is politics the proper arena for enforcing values? Or are values best left to individual choice? Are there any shared values that can be enforced internationally? In the Politics & Values community, a select group of students has the opportunity to explore these questions while living and studying together in an intensive year-long course. 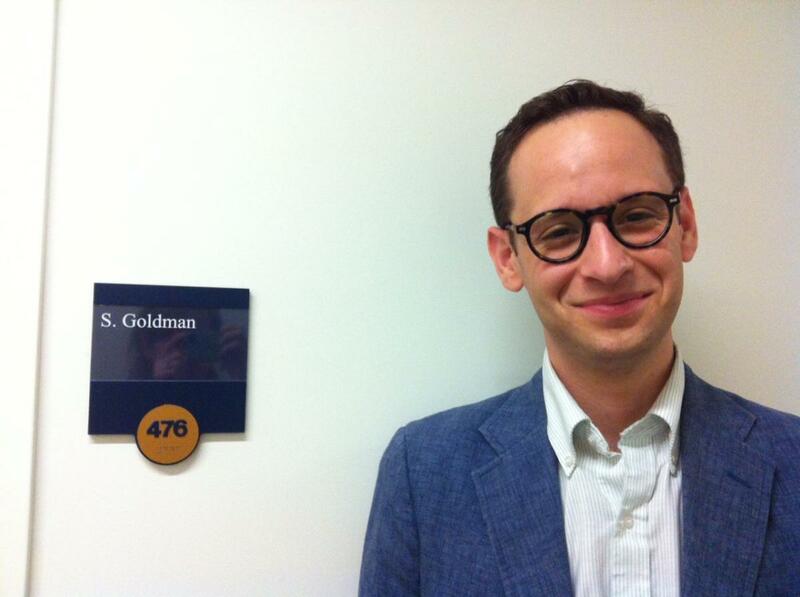 Taught by Professor Samuel Goldman, who is joining the GWU faculty from Princeton, the course covers Political Theory, American Politics, Comparative Politics and International Relations – all at an accelerated pace, with each field studied in great depth. On this page, you will find an explanation of the intellectual focus of the course; the professor’s teaching approach; the students’ engagement with each other, the GW community, and DC; and finally some of the opportunities that P&Vers have beyond their freshman year. For any further questions, you can look at our FAQ. Politics & Values fulfills a number of requirements for both Columbian College and Elliott School students. But more importantly, the course encourages elite-level intellectual development in a small-class environment. We engage solely with primary texts, reading classic works from ancient Greece to the present day (including works by several Nobel Prize winners), with significant faculty interaction to guide students through interpreting these difficult texts. And we apply these ideas to contemporary problems, writing research papers that bring together theory and practice. During the fall semester, we start by examining the view of role of values like rights, responsibilities, and liberties in the American founding by studying classic texts that the Founders read as they prepared for the US Constitutional Convention. Then we move on to study modern political scientists' skepticism about the promotion of values, asking what made them so skeptical about the values that the Founders thought were at the core of American politics. In the spring, we look at the connection of values with cultures and nations; the problems of national and ethnic violence; traditional political science theories about the causes of war; the religious, moral and political origins of the current conflict between the West and Islam; international attempts to curb violence and establish boundary-crossing values; and the values that underlie our efforts to encourage development in impoverished areas of the world. Politics & Values is writing intensive. Before Thanksgiving of their freshman year, students are asked to write a 25-page analytic essay about an important political value, such as liberty. Few freshmen in the country can boast of such an accomplishment. Working closely with the professor (and a TA dedicated to giving writing instruction), students build this paper piece-by-piece, revising each section as they go. Through the rest of the year students write four 15-page research papers applying contemporary political science theories to issues of their own choosing. The second semester of P&V (PSC 1012W) will be designated a WID course, helping students to fulfill their G-PAC Literacy requirement. Working with their TA, they craft these topical papers to address different audiences, undergo processes of peer review, and improve both their analytical skills and their expository style. Politics & Values students are housed together in Somers Hall, as part of GW’s elite academic experience on the Mount Vernon campus. As they live and grow together, they have the opportunity to develop leadership skills within their own community, to encourage each other to work hard and think deeply, and to enjoy all of the social options that GW has to offer. They also interact with other students interested in politics, sharing their knowledge and broadening their experience of GW and of Washington, DC. Politics & Values students also interact with the Washington policy community. In the past, for example, they have heard scholars from the United States Holocaust Memorial Museum speak about modern genocides, talked with high-level staffers from Congress about the educational preparation needed for a career on the Hill, visited sessions of the U.S. Supreme Court, and toured DC’s monuments to learn about the ideology behind the architecture. Politics & Values provides an opportunity for elite intellectual development within a community that fosters personal growth and leadership. P&V students have long been recognized as the most accomplished students in the Political Science department. Recent graduates have gone on to positions in the Senate and the House; in non-profit organizations as varied as the American Enterprise Institute, Teach for America, AmeriCorps and the Peace Corps; and to some of the very best graduate schools, including Harvard, Columbia, Chicago and Oxford. Each year, P&V freshmen hear speakers from past P&V cohorts – past speakers have included college professors, newspaper writers, successful lawyers and bankers, and many others who trace their roots back to P&V. Beyond the freshman year, P&V students have the exclusive opportunity to participate in career development seminars that link them with members of the extended P&V family, including influential alumni across the country. P&V students also have unique access to research opportunities within the Political Science department, helping to build research and writing skills at the highest level. See our FAQ or contact former P&Vers Megan "Fitz" Ftizgerald, Karim Farishta, Steven Masottic, Avenir Morozov, Nicole Lefort. You can also view some bios of former P&V students here. Exceptional students will be invited to join Politics & Values by the GW Admissions Office. If you are interested in being considered for this unique program, please email Professor Goldman.